Oxford is an enormous snowy deathtrap. I got three steps out of the house in wellingtons this morning, went back and changed into my hiking boots. 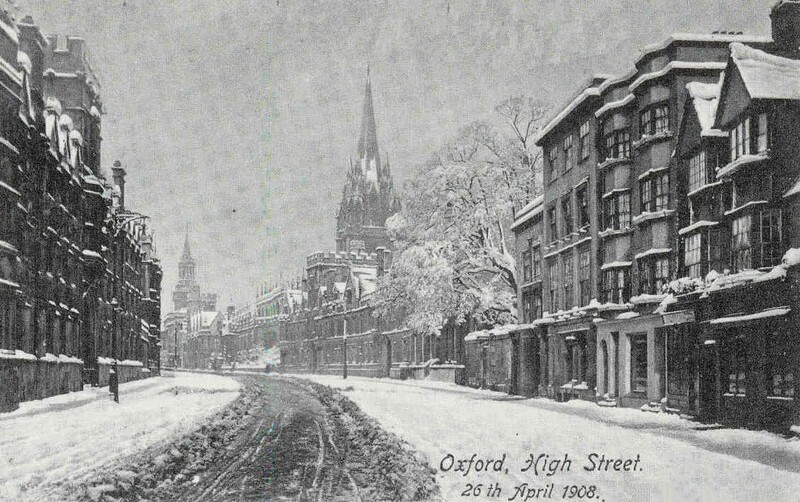 At ten a.m., bizarrely, Oxford City Council had gritted ONE SIDE of the Cowley Road, but NOT Oxford High Street. It took me ten minutes to walk about a hundred yards. I was woken up by our Porter’s car spectacularly failing to start. I & I suspect most of the British students my age have never seen snow like this in their own country. Everyone is racing about like tiny Victorian slum children taken to see the sea, while the Scandinavian, German & American students look on, bemused. They are quite used to what is, after all, less than a foot of snow, and don’t understand why we’re all so incredibly excited. Snowmen have been built in all three quads of my college (third quad has a snow-woman in a blue bikini!) and in front of the Rad Cam. Brasenose and Exeter are having an enormous snowball fight between Brasenose Lane and the Exeter Fellows’ Garden, and I can’t believe that sheet of pure white parchment kissing the ground of All Souls’ Quad is going to stay untouched by the end of the day. I, personally, am longing to risk rustication by dancing on it. Everybody, when they’re facing the huge swirling Gothicness of St Mary’s, the Meadows or the Botanical Gardens (the last has decided to bring out its heart-breaking beauty and turn into something from a Twelfth Night film set), feels happy. Oxford wears snow very well, and the city will only be this pretty again in Trinity, when the sky blazes and the stir-crazy feeling is even worse if you have to work (after all, snow has the downside of wet feet and raw hands; drowsing in a punt is one of the few human pleasures not to need a health warning). 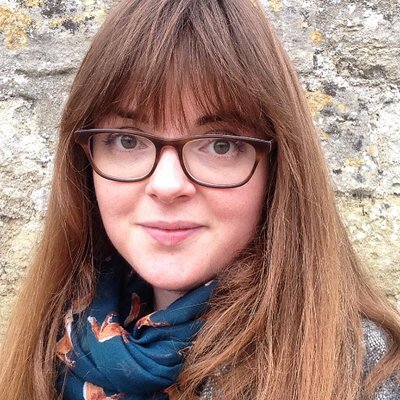 But then, you turn six inches away from the dreaming spires, look at the filthy black ooze pouring down the High Street, or see someone fall over, or fall over yourself, and you do – I’ll admit it – wonder exactly why we just can’t cope with snow. No snow day for me; I’m in the Upper Cam, its chilly beauty unchanged by a bit of extra whiteness at the windows. It is, of course, bloody freezing, but at least the lights aren’t out. I wish everyone at Oxford at least one day like this during their degree-time; in the town proper, it looks a bit like nuclear fallout painted in brown and blinding-white, but around the university buildings, it feels like a strange second Christmas, cold and new. Why my college can’t go and invade those swine at Corpus is beyond me. It’s what we do! Isn’t there a jolly frosty man/woman for us to behead? Isn’t there ice to be shoved down a Corpusian neck? When did my college get mature? My second year JCR President ordered everyone into Oriel Square for a snowfight, once. Mutter mutter, grumble moan wheeze..
Next ›I am like the flower of tamarisk that must remain inviolable. *is jealous* I am back up in Scotland now. There is no snow. This fact makes me pout. Invasion! That’d be great. Storm the battlements. Snow-ball their arses. Scrawl violent things in four foot letters. Deflower their men. We could read ‘Guerilla Warfare’ before hand. They won’t know what hit them. The Brasenose/Exeter snowfight was epic. A group of shrieking Japanese schoolgirls ended up joining the fray. From the Upper Cam, the distant screams and whoops made it feel a bit like being at the library in Disneyland. You should have been at the launch last night, you’d have loved it – if I’d known you were coming back yesterday I’d have scooped you up and dragged you along. from this particular blog post.